Detectives are investigating the attack. Anyone who knows any details should call Tower Hamlets CID. Dial 101, via @MetCC or anonymously calling Crimestoppers on 0800 555 111. 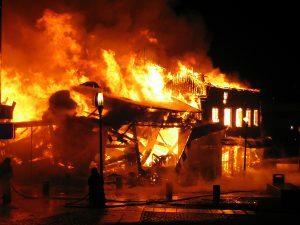 Did you know that arson is one of the most common causes of fires in workplaces and also homes. When carrying out a fire risk assessment persons should consider arson attacks. They should also consider how to minimise the possibility of arson. Fire prevention measures about arson can also be considered in the workplace fire emergency plan.